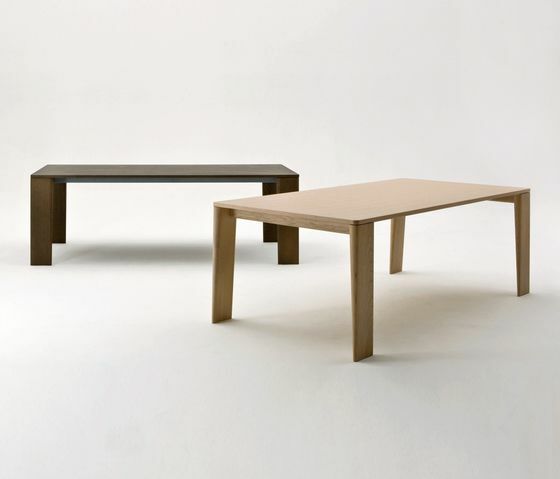 First of all, the design of Fix tables and consoles is characterized by their wooden legs. At first sight, they appear generously well-proportioned. This effect is accentuated by the contrast with the thick top, be it in wood or in marble. However, the legs change characteristics if you look at them from another side. They appear leaner while a deep analysis reveals their round and tapered shape. So Keel identifies an aerodynamic beauty which reduces things to their essential. Former’s technical abilities can lead this characteristic to the maximum level.